FEASTival 2019 features wine, spirits, beers, and artful edibles from central Arkansas’ best culinary creators, a silent auction and raffle. The band Greasy Greens will join the party to provide music for onstage dancing! The fun starts at 6:30pm tonight at Wildwood Park. Ticket information is here. Proceeds go to support Wildwood’s gardens, art exhibitions, the Wildwood Academy of Music and the Arts and Wildwood’s educational programs. 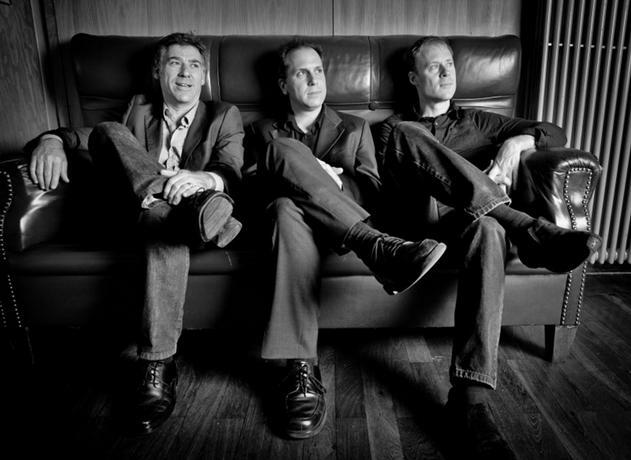 The Oxford American welcomes the Peter Bernstein, Larry Goldings & Bill Stewart Trio to Little Rock! This is the fifth and final show in their 2018-19 Jazz Series. Doors open at 6:00 PM, with dinner and drinks available for purchase at that time. The series is made possible in part by presenting sponsor UCA College of Fine Arts & Communication. Additional season partners include Stella Boyle Smith Trust, Chris & Jo Harkins, J. Mark & Christy Davis, EVO Business Environments, Downtown Little Rock Partnership, Stacy Hamilton of Pulaski Heights Realty, Margaret Ferguson Pope, Arkansas Arts Council, Department of Arkansas Heritage, Mosaic Templars Cultural Center, Capital Hotel, Arkansas Symphony Orchestra, Rosen Music Company, and Steinway Piano Gallery of Little Rock. Tickets are $30 (General Admission), $44 (Reserved), and $46 (Premium Reserved). Please take a look at this very important ticketing and seating information before purchasing your tickets (view reserved seating chart). Full season ticket pricing and options are also available in a consolidated format, here. All members of the Young Lion jazz movement at the close of the 20th century, and now all firmly established jazz stars, this group has been together for twenty-five years, making multiple recordings that display their distinctive sound, whether exploring the depths of jazz standards, or playing their original compositions. Jazz enthusiasts recognize the trio for charting new ground with hard-swinging, yet thoughtful music. Peter’s warm, feather-light touch and fluid improvisation with Larry Goldings’s warm hum, alongside Bill Stewart’s polyrhythmic and melodic focus, create a vivid combination of synergistic playing. With the trio’s extensive use of the music’s dynamic possibilities, the passion and joy of this amazingly versatile instrumental lineup is there for all to hear. The Oxford American is excited to welcome Dom Flemons to Little Rock tonight (February 21). Dom Flemons is originally from Phoenix, Arizona and currently lives in the Washington, D.C. area. He is known as “The American Songster” since his repertoire of music covers nearly 100 years of American folklore, ballads, and tunes. Flemons is a music scholar, historian, record collector and a multi-instrumentalist. This is the third show in their 2018-19 Americana Series. Doors open at 6:00 PM, with dinner and drinks available for purchase at that time. The series is made possible in part by presenting sponsor Stella Boyle Smith Trust. Additional season partners include Chris & Jo Harkins, J. Mark & Christy Davis, UCA College of Fine Arts & Communication, EVO Business Environments, Downtown Little Rock Partnership, Stacy Hamilton of Pulaski Heights Realty, Margaret Ferguson Pope, Arkansas Arts Council, Department of Arkansas Heritage, Mosaic Templars Cultural Center, Capital Hotel, Arkansas Symphony Orchestra, Rosen Music Company, and Steinway Piano Gallery of Little Rock. February is National Pie Month! As it has for the past several years, the Capital Bar & Grill is celebrating with a specialty pie a day. 14th EVER Nog Off results. And the winners are…. Historic Arkansas Museum has announced the winners of last Friday’s 14th ever Nog Off! Until next time. Happy Nogging!